We have a new toy. It records on 4 tracks seamlessly and quickly, for up to a day if we need it to. 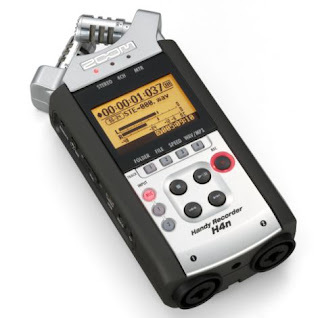 The H4N is just a handheld recorder, but it's been great for gathering audio and recording practices. Here's a sample of a new song we're working on, recorded, mixed and bounced out an hour or two ago. Easy as pie. More on this new song in a future post. The audio is pretty great! So great in fact, that you can hear my crummy little piano bench and Jody's bass make some squeaking sounds in there. It sounds a little like two mice having a knife-fight. The H4N is about the size of one of those boxes that you get your checks in. I love living in the future. 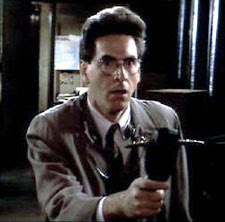 Also, here's a rare picture of Jody, circa 1984, using the H4N to bust ghosts.